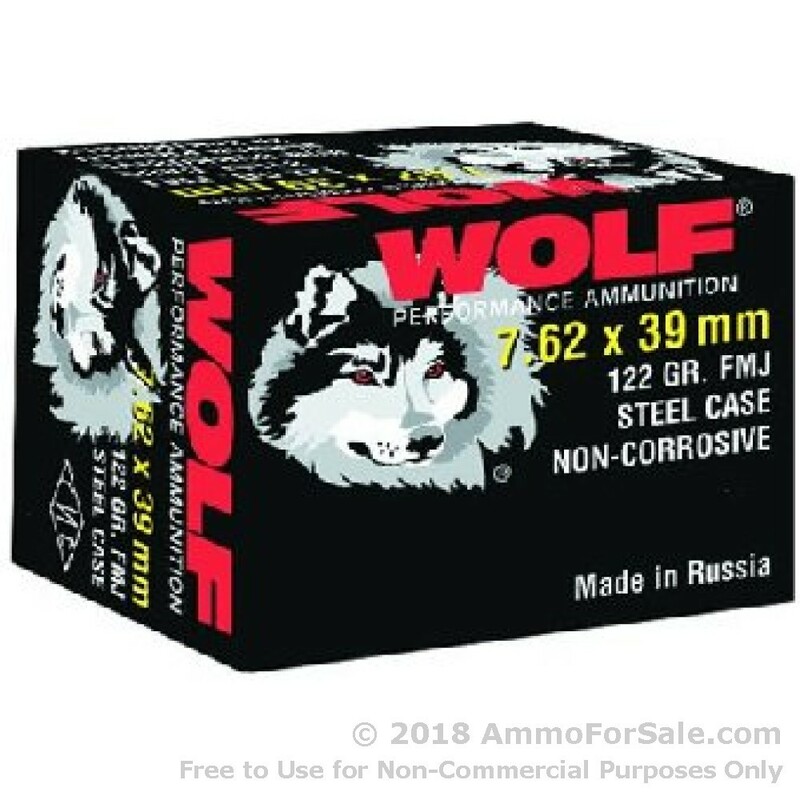 If you're looking for a good 7.62x39 round to knock out some range time with authority, these rounds from Wolf will have your AK-47 begging for more! Once you order, expect these rounds to arrive individually boxed in 20-round boxes, perfect to take as much, or as little as you like to the range. Of course, you'll have 1,000 rounds to throw down range as you see fit! These rounds are 122 grain, berdan primed, steel-cased, and have a full metal jacket (FMJ) projectile. So, while perfect for weekends at the range, you likely won't want to use these rounds if you're looking for a good self-defense ammunition. Typically, these rounds will be moving around 2,400 feet per second out of the muzzle and pack a whalloping 1,550 foot pounds of energy on their target. So what does polyformance mean? Well, Wolf has given these rounds a polymer coating to help ensure smooth feeding and extraction from your AK-47's chamber, even in adverse conditions. Wolf is known for reliability and they know it. That's why they're not afraid to guarantee it. In fact, Wolf is the only ammo company that promises to refund your money on any unused ammo if you're not completely satisfied with it!